Caught on a treadmill of leisure shopping and selfie-taking — with no time to cry. When do we wake up? We are ambiguously floating between catchy and unsettling sounds, calming and reassuring words, ideological infiltration and selfie-taking; like frogs sitting in a slowly boiling pot, we remain enveloped in the pleasantries of consumer society while neglecting our own incapacitation – NUMBNESS, an installation at Connecting Space Hong Kong encapsulates these ambiguities that we all face on a day to day basis. Mirror Factory is a group of audio-visual artists, who sporadically work together on the physical and emotional quandaries of our current living conditions. They have previously done projects in 2015 at Connecting Space Hong Kong, and in 2016 at the Centre for Cultural and Literary Studies Berlin and Zurich University of the Arts Zurich. 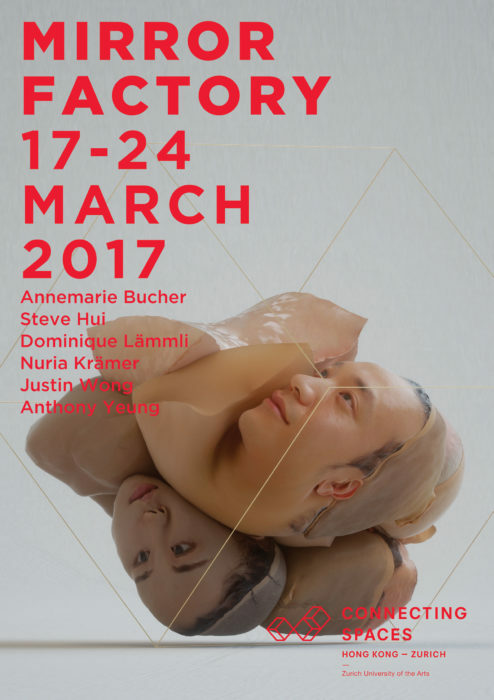 Mirror Factory artists: Annemarie Bucher, Steve Hui (alias Nerve), Nuria Krämer, Dominique Lämmli, Justin Wong, Anthony Yeung.